Poedit Pro is now available for Linux as well — download it from Snap Store. Poedit for Linux is packaged as a Snap, which is a portable format supported by most distributions. 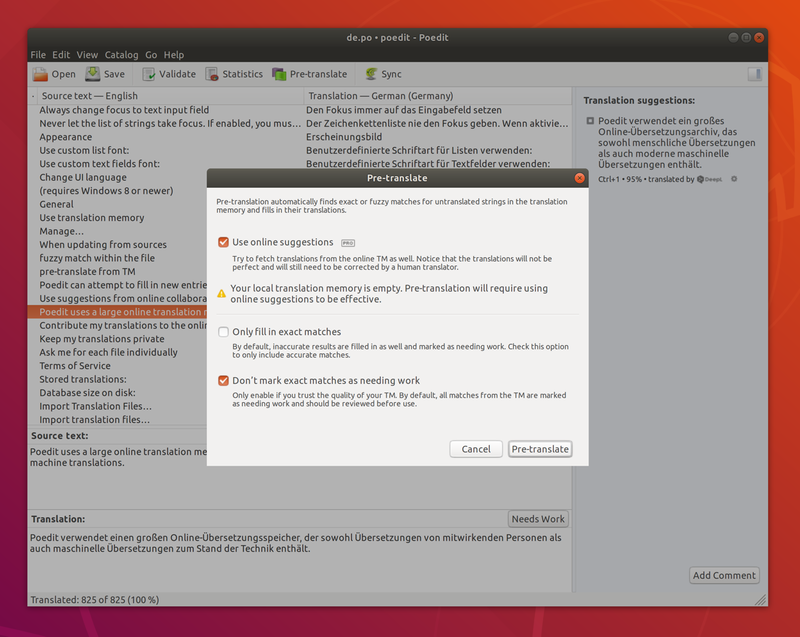 If you are using a modern version of Ubuntu, it is already built in; if not, you might need to install snapd first.